In the spring of 2015 we ran four initial prototype Story Circles consisting of five participants each of which fell into four demographics. Each group received a one day orientation from Randy Olson and Jayde Lovell which included sessions 1 and 2, then they continued meeting on their own, once a week, for the next 8 weeks, totaling ten sessions. Each group was given a “Baseline Test” before starting the training, then again after the last session. All sessions were video recorded. The videos were transcribed, then analyzed for the amount of use of “narrative language” which we define as the ABT words, “but,” and “therefore." 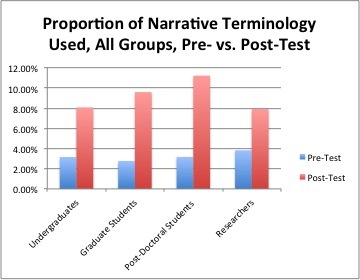 Figure 1 shows the increased use of narrative language over time, though this isn’t really a very profound outcome given how much the ABT template is talked about throughout Story Circles. 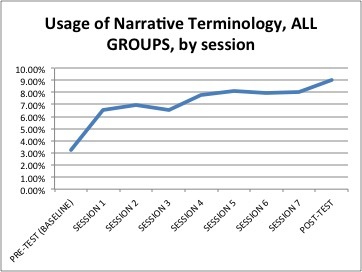 We defined "Narrative Language” as just the words "but” and "therefore.” They are expressed as the percentage of all words spoken by the Story Circle participants. 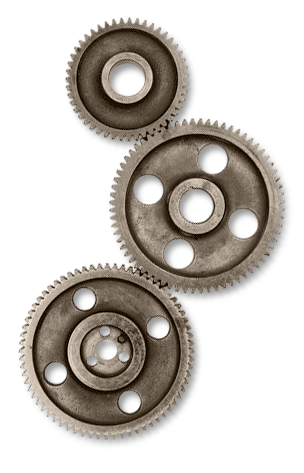 What is far more important than any metric we were able to devise is simply qualitatively what we heard. In the beginning, the participants found the various “moving parts” of Story Circles (the use of the cueing video, the narrative tools, the scoring procedure for abstracts) to be a tiny bit confusing and almost intimidating. But by about the fourth session they realized the overall procedure is actually pretty simple and hardly needed the materials for reference as they had fully absorbed the narrative tools and were showing the development of an intuitive feel for narrative content. Overall, the success and popularity of Story Circles is reflected in the responses to the questionnaire we gave at the end of the training. 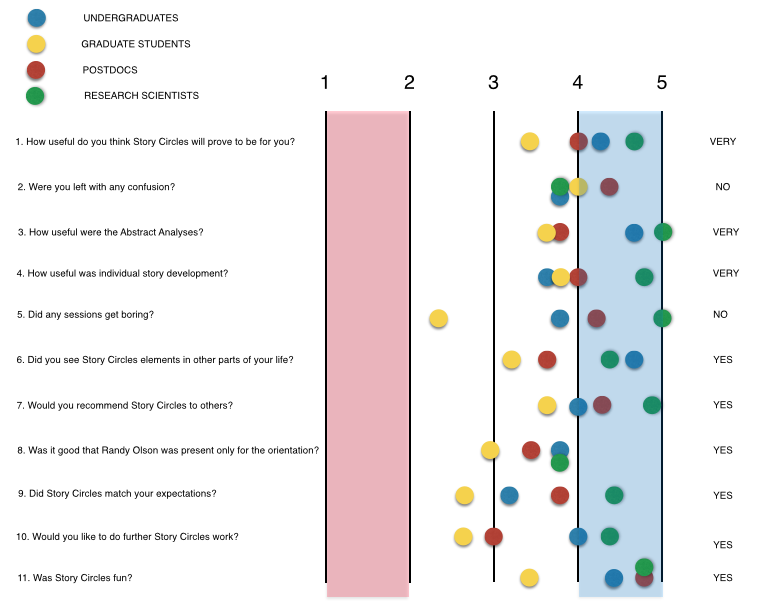 Of particular note is the response to Question 11: "Was the experience fun?” They overwhelmingly replied... YES! Most government workers dread communications training and other workshops they are forced to take. But Story Circles is different. There is very little work required of the participants outside of the sessions, and the sessions themselves end up having a strong social component. 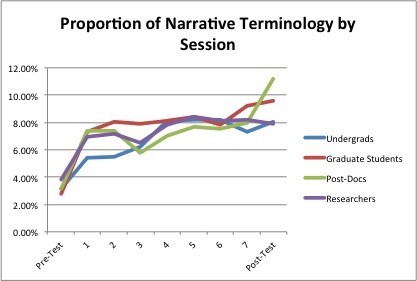 For example, the Abstract Analysis exercise (the first half of each hour) plays more like a game at times as everyone compares their scores and can’t believe there is so much variation of opinion in what is a good versus bad abstract in terms of narrative structure. The most important net result of Story Circles is that after just ten sessions most participants will never look at content the same. 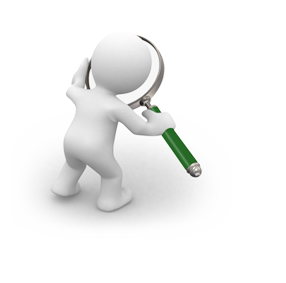 They become trained in how to spot the ABT structure in well constructed material, and how to diagnose the problems of poor material specifically and analytically (something more than just arm waving) using the AAA and DHY structures. These are skills that will change their entire approach to communication.